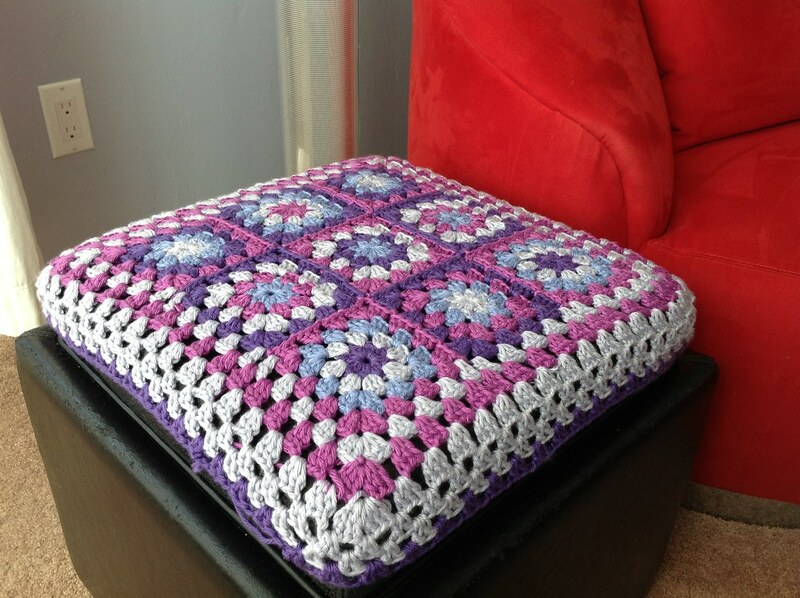 You are here: Home » solved with crochet! A bunch of the sewing blogs have lit a fire under my behind. 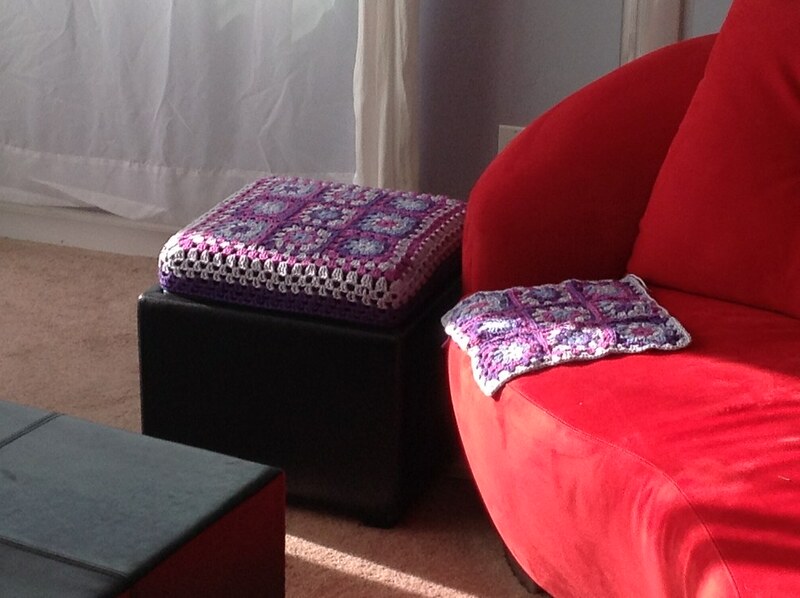 I have these ottomans that I purchased about 6 years ago that are starting to look rough around the edges, but I’m not ready to give them up. They’re a perfect size, you can group them together or place one at each door in lieu of a bench to put your shoes on etc., and they can also be used for storage. Every so often I’ll open one up and am excited to find things I stashed and forgot about – kinda like finding that $20 in last year’s winter jacket. 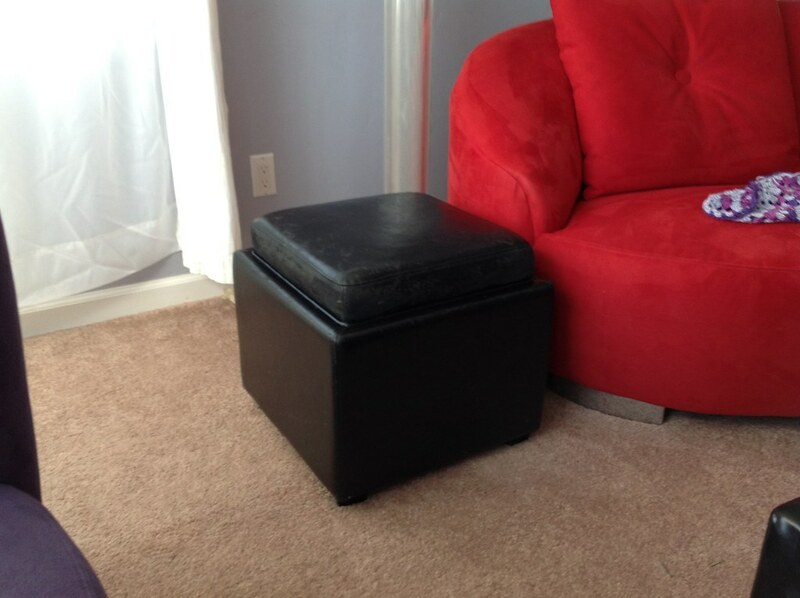 A bunch have been posting these wonderful fabric ottoman covers, some with gorgeous pleats, piping etc., got me itching to do the same – problem – because of the fore mentioned storage, my ottoman’s have this funny tiered effect. . .
Options for ottoman covers were churning around my brain, when I noticed Big Bird’s nest. . .yup. . .the nippers were watching Sesame Street, and Big Bird had this granny square blanket lining his nest. . .hmmmmm. 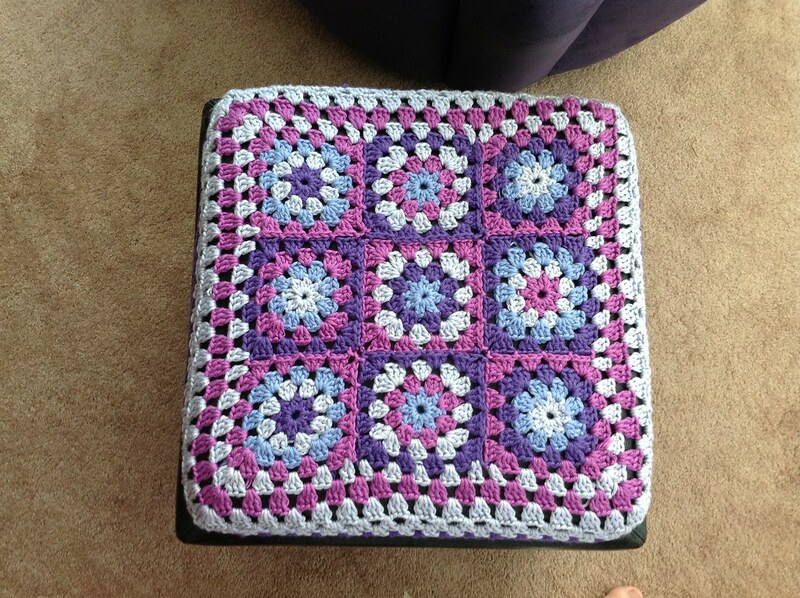 . .
Let’s quickly give credit where credit is due: I’m sure the granny squares are from Lucy at the Attic I’ve just committed them to memory and the yarn is Knit Picks shine worsted in Wisteria, Crocus and Iris, probably my favorite yarn. After looking at the pictures, i noticed I should add a couple more rounds. . .
two more to go, OY! Now let’s get some sewing done, eh?